QGIS 3.0 is out and from the blogs and tweets, it looks awesome. Some one asked me how to install QGIS 3.0 on Ubuntu 16.04, so here are the steps. Note: Sudo is required because normal users do not have rights in /etc/apt/ folder. Some of the dependencies will not be there if we use ubuntugis-nightly-release repository reference. In the last few years, I have tired many text editors like gedit, sublime, vi, vim and now Atom. You can read more about Atom on their website. However, I needed a text editor that can support a cli and a webbrowser plugin (see the image below). Atom does that as it has a terminal-plus (don’t install it before you read the complete blog) and browser-plus. The solution worked on my unbunut 14 laptop, but I could not make it work on ubunut 16. I did some searching and then opted for “platformio-ide-terminal” as some one said it is not in development any more (the repo is at least one old https://github.com/jeremyramin/terminal-plus). The package “platformio-ide-terminal” works out of the box. Note: For color change (in package setting), restart Atom after colors are changed. if you want to remove atom, use the following command. What do you think, you want to give it a try. Now update sources.list with the folling line (just insert at the bottom of file). and Ctrl X will take you out of nano, it will ask to save file say ‘Y’. 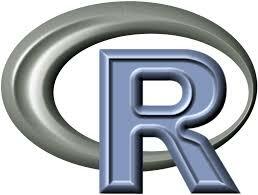 Now confirm by running R to see if it is working fine. To install rgdal package, have a look at “Installing rgdal package for R3“. To install R 3.2.0 on Ubuntu 140.4, following the instruction below.